Another post of title only. Maybe it’s better this way. Few can recall. The other day I strolled the halls of an elementary school, a relic from the ’50s or ’60s. By the library, on the wall, the local Rotarians or someone had once built a shrine to law and liberty, old America-style. I admired it for what it was. However, I noticed two things – at the least – were missing. One was the Magna Carta. Its exclusion was understandable; resort to lex 1215 AD is kind of like keeping a Diplodocus at the zoo. What’s the point. However, also absent were the Articles of 1781, also leaning towards the ancient. For the recent “refugees,” the tattooed, and other neo-American trash, this was the original founding federal document, sandwiched between the Declaration and the Constitution. It was in keeping with the former, vastly superior to the latter. And, today, forgotten. Read, if possible, for yourselves. The United State Constitution is a historical anomaly. The Constitutions of the several States are as well. Our English predecessors had a Constitution of sorts as did the Romans long before. These are however, rarities. Many nations today have “constitutions” or charters which allege the rule of law, but which in reality are no different from the dictatorships and dominions of old. Traditionally, most people have lived under one regime or another which ruled by the whims of men and the force they could exert. Ayn Rand discussed this phenomenon, labelling it “Attila and the Witch Doctor.” For the New Intellectual (1961). Attila is representative of the ruling big man, a brute whose law” extends from the barrel of a gun or the tip of a spear. The Witch Doctor is the “holy” man who finds some “divine” reason to justify Attila’s power and also placated the people to avert their suspicion or anger. In 1775 the American colonists were under the rule of a gentler Attila, King George, III, who was constrained by Parliament and the English Constitution. He even had a state-chartered church to serve as the Witch Doctor. The next year the colonists declared their independence from England and instituted on earth thirteen new nations. During the Revolutionary War these nations were united in Congress due to their dire predicament. In 1781 the 13 states adopted the Articles of Confederation (the ratification process began in 1777) which tied them loosely together for mutual benefit. Not being satisfied with loose ties, in 1789 the early Americans drafted a stronger document to commence a stronger central government – the Constitution. The first ten amendments to the document, the Bill of Rights, came along in 1791. People like me are always rallying to the Constitution, its limits on government power, and it’s protection of individual rights. When comparing the reality of modern American government to the government set forth in the original text of the Constitution, the two things seem polar opposites. Thus, the constant call for a return to Constitutional government. There is no doubt, from a libertarian perspective, the latter would be far easier to accept than the former. However, the problem I have finally come to terms with is that the two opposites are really the same thing – separated only by time. Again, I quote Lysander Spooner: “But whether the Constitution really be one thing, or another, this much is certain – that it has either authorized such a government as we have had, or has been powerless to prevent it. In either case, it is unfit to exist.” “Unfit” is a harsh assessment, but it is probably the most intellectually honest view. I have personally sworn (affirmed) several oaths to support and defend the Constitution as an attorney. Then, immediately, I have been told to look the other way as nearly every provision of the document is rendered moot. The government these days does what it wants, end of discussion. Its power is always on display. If one or two of your rights happen to be respected, be happy. The government will tell you it gave you those rights! There is no respect for the letter of the Supreme Law. In 2009, then Speaker of the House, Nancy Pelosi, was asked by a reporter, “Madam Speaker, where specifically does the Constitution grant Congress the authority to enact an individual health insurance mandate?” Mrs. Pelosi responded with indignation, “Are you serious? Are you serious?” She then put on the record that the question was not serious. http://www.aim.org/guest-column/yes-nancy-pelosi-we-are-serious/. The question was dead serious and the true answer is “nowhere.” Truth gets in the way. Rep. James Clyburn clarified the issue: “There’s nothing in the Constitution that says that the federal government has anything to do with most of the stuff we do.” http://online.wsj.com/article/SB10001424052970203917304574412793406386548.html. Jimmy was brutally honest. Over the long-span of our Republic, a few pet phrases and ideas in the old parchment have been used to systematically justify the awesome growth of the federal government – the commerce clause, the necessary and proper clause, the general welfare clause, national defense, and taxation. Today, when most of what the government does is illegal, they don’t even try to justify their actions. This was hard for me to accept as an attorney. Actually, I never did accept it. In many (most) cases there absolutely nothing I could do for the interests of true justice and Constitutional fidelity. However, I remain one of the few who will stand on principle to the point of Quixotic excess. I do not fear being labeled wrong when I am right. Here’s how the Constitution was supposed to work. It was quite simply compared to today’s leviathan. First, please read the Constitution. Here’s a link: http://www.archives.gov/exhibits/charters/constitution.html. This is the official site of the Constitution, complete with pictures of the original text. Make it a “Favorites” link on your browser. The Constitution created the federal government, divided into three branches. The branches were listed in order of importance. Article One defines and empowers the legislative branch, Congress. The powers of Congress or the legislative authority it has are mainly derived from Section Eight though a few powers reside elsewhere (some have been added by subsequent Amendments). The powers enumerated in the text are the only powers which Congress may legally exercise. The Tenth Amendment says so. The number of these powers is the subject of some speculation among libertarians. Some count the individual sub-sections only. Some delineate each power from the subsections – I follow this approach. Some extrapolate reasonable relations between the individual powers. However you calculate them, the powers are few in number. Let’s say there are about 30. That’s it! Those are the only things the government is supposed to do. Today we are trapped under tens of thousands of laws and countless regulations which cover literally everything imaginable. The regulations are issued by various agencies, supposedly to implement the laws Congress passes. You can find this mind-boggling collection of verbosity at: http://www.gpo.gov/fdsys/browse/collectionCfr.action?collectionCode=CFR. Don’t make too close of a study; the regulations change constantly. In my view none of these rules are valid as they are not the expressly permitted work of Congress. However, the agencies that make them have armies of men with guns to ensure compliance. Article Two concerns the executive, The President. The President’s authority is even more minimal than Congress’s. He is supposed to only attempt to enforce the valid laws Congress passes, run the day-to-day operations of the government, and prosecute wars as declared by Congress. That’s about it. Of course, today the President is a virtual government unto himself. The executive’s ability to take “emergency” action and the constant acquiescence to these actions by the other branches, have made the President the most dangerous part of the central government. He issues Executive Orders, which were originally only supposed to concern policy implementation within his administration, but today are taken as Acts of Congress (without Acts of Congress). My view is that almost all of these Orders are invalid. There again, the President is in charge of all those armies of armed men and the regular military too. He usually gets his way. Article Three concerns the federal Judiciary. This article only established the Supreme Court. It left another power to Congress to create and empower inferior courts of different kinds. Originally, legal matters were supposed to be handled by State Courts for the most part, with the Supreme Court deciding differing outcomes from different States when a controversy arose. Many libertarians think the judiciary has become too powerful. Perhaps it has. Most attorneys take the opinions of the courts to be divine. I do not, for the most part, agree. Congress has the ultimate authority over law in this nation and has the power to override a contrary court decision. Congress also has the express authority to limit the jurisdiction of the courts, meaning Congress can prohibit a court from reviewing certain matters. Congress rarely uses this power. The rest of the original articles explain various concepts, procedures, and guarantees. Perhaps the most important feature of the remaining articles is in Article Five – the procedure for adding Amendments to the Constitution. This has been done 27 times since the original charter was enacted. The Bill of Rights, those first 10 amendments, was added as a cautious afterthought. The rights therein were acknowledged as Natural Law in origin and eternal. In 1789 all ten were taken as a given. The Founders assured everyone, including each other, that due to its explicitly limited nature, the new government would never be a threat to individual liberties. There was no point in adding statements of protection. But, in 1791, suspicion gave way to action, and several core rights were definitely stated and protected. They have been poorly defended of late. The remaining seventeen amendments were added over the course of years. Most granted the government more power. Only one of those has ever been repealed – the 21st Amendment, the only one ratified following State Convention origination, repealed the 18th Amendment, which outlawed alcohol. In my estimation, of all the Acts of the federal government in its entire history, none were more cruel than the 18th Amendment. During a period of dramatically increasing federal power and erosion of individual liberty, the government decided to take away the People’s ability to legally drink their serfdom away. Thank God it was erased after only 14 years. True to form though, the government could not simply end prohibition, rather, the ability to regulate alcohol was passed on the States. The ATF and your State’s revenue department bear witness to the enduring character of legislative folly. In conclusion, while the Constitution may be revered as creating a government of limited powers, it still created a government. That government has vastly exceeded its authorized power to the detriment of our Liberty. I would like to see a return to The Articles of Confederation or some other less powerful central state. This is not likely to happen. The best alternative would be to simply adhere to the Constitution as written, no more. This is equally unlikely to occur. As is, we will have to wait until time takes its toll on the remains of the Republic. This process may not be pleasant for us. Plato described the cycle of the theoretical state about 2500 years ago – we would appear to be somewhere near the end. Aristocracy gives way to timocracy (rule of land owners). Timocracy becomes oligarchy (the rule of an elite). Oligarchy degenerates into democracy. Democracy can also be called “ochlocracy” or mob rule. Ultimately this paves the way for a despot to seize power. The cycle then repeats. We can really only hope that someday, a future generation will learn from our mistakes and correct them. History says that correction won’t last long. The title of this column is a common phrase, the equivalent of “don’t make a mountain out of a mole-hill.” It is an admonishment to not blow things out of proportion. I use it, here, as a legitiment plea. Too many cases, particularly criminal cases, go through the federal court system. “The more laws, the less justice!” remarked, Cicero, perhaps ancient Rome’s ultimate statesman. I echo his sentiment as one of my favorite quotes of all time. In general, in Amerika today, too many things are against the law. In the old days you have to harm someone or actually threaten them with harm to find yourself in court. Now, any excuse will do for a persecution .. prosecution, rather. Owning certain plants is illegal, and not only the ones some people smoke to get high. “Short” lobsters are illegal. Not reading a contract in full is illegal. Everything is illegal. By the way, I write “Amerika (with a “K”),” like many commentators, to lament the decline of my country, America. I have watched it change completely during my life, I’m sure you’ve noticed it too. Back to federal criminal laws. There are somewhere on the order of 10,000 criminal laws inside and outside of Title 18 of the U.S. Code. Add to that the innumerable regulations which carry criminal-like penalties and the ways to criminally control and extort the people are almost limitless. Remember that old rag called the Constitution? It seems most people have forgotten it, especially those charged with defending and upholding it. I am one such sworn defender who keeps it in mind more than most. (Birth of a government… Source: Google Images). Oddly, I am not the greatest fan of the Constitution. This shocks many people who know me as an ardent proponent of the document. The Constitution was drafted for one reason – to create a new government. Not being a fan of government, and not being able to find sufficient fault with the previous version under the Articles of Confederation, I view the Constitution and its child as unnecessary, dangerous even. However, since we have it, one would assume we should use it. The problem is we don’t. “We” is misplaced. The problem is the government’s complete abdication of the limits placed on it by the Constitution. Lysander Spooner observed, over 100 years ago, “whether the Constitution really be one thing, or another, this much is certain – that it has either authorized such a government as we have had, or has been powerless to prevent it. In either case, it is unfit to exist.” And, that was before the exponential growth of the present government. As is, I have sworn several oaths to support and defend the Constitution; therefore, I do so. I read the Constitution literally (adhering to the “strict construction” view) and only put credence in what is actually listed therein, no more. Back to federal criminal laws, again. Do you know how many crimes are designated for federal prosecution? The number is a little less than 10,000. The Constitution authorized congress to make and allow prosecution of THREE crimes! Those, all found under Article I, are: 1) counterfeiting money; 2) piracy and; 3) treason. Most of these are almost exclusively committed by the government these days. They obviously don’t prosecute themselves absent exigent circumstances (political payback, etc.). Actually, there are other crimes acceptable as federal crimes. The great Ron Paul, speaking in the House Floor, noted four federal crimes. I would not dare dispute the Honorable Doctor. Thus, I defer to his number, though I will question exactly what the fourth crime is. There are a few possibilities. I do not read expansively, as some do, that the other legitimate functions of the government authorized in the Constitution might lead to hypothetical or extrapolated crimes. That reading is how we got to our present state of insanity. The Constitution authorizes punishment for violation of the “law of nations.” I’m not sure what that means but it is written. The 13th Amendment outlawed slavery (I have a new series coming on the subject!) and provides for punishment. That would be a federal crime. It’s possible there are others but the number thereof is very short. All other crimes, legitimate crimes, are left for state or local prosecution. That’s what the Constitution says. You can read the whole thing here and I recommend you do, frequently: http://www.archives.gov/exhibits/charters/constitution.html. The federal government was never intended to be all-powerful, though it has assumed that god-like position. Blasphemy, I say! I have never thought of any easy way to reverse the course of tragedy in our laws. Therefore, I have resolved myself to faithfully do what I can, individually, to maintain true allegiance to the Constitution, flawed though it may be. I have met with little success. Over my professional legal career I have undertaking criminal defense matters with great enthusiasm. I have worked and tried many cases, including many in federal courts. During my tenure I have never defended anyone charged with piracy, counterfeiting, treason, or slavery. One client was close to counterfeiting – accused of identity theft which robbed people and banks of money, kind of like printing the stuff from scratch – like the Federal Reserve does with Congress’s illegal blessing. Most of my clients were charged with any and everything else, though usually the cases involved firearms and narcotics. Most of these defendants chose to enter pleas in exchange for reduced sentences. Most (like 97%) of federal defendants do this. This is a sad statistic. Very few cases go to trial and the government wins most of those by a similar margin. I have successfully had cases dismissed outright. That is rare in any court system. I also negotiated better than most attorneys for my clients and any reduction in punishment they might receive. I am not really proud of that last part and I have found it difficult to accept. The lesser of two evils is still evil. I don’t like evil. The last case I tried to a jury involved charges of terroristic threats against a government agency. Such vague “threats” as they were probably would not have supported a prosecution had they been leveled at me or you. Directed towards the government they were unforgivable. The nefarious methods employed by the government to obtain an indictment and a conviction were similarly outrageous. The jury did not hesitate to convict my client, a truly helpless man who had done harm to no-one. He was released with “time served” with the government’s blessing. Frequently, they just like to remind people they are in charge, and no more. I must admit most of the local officials I deal with are more honest and compassionate than the average. Still, that does not change the system. My client declined my suggestion of an appeal and even my offer to seek a Presidential pardon (those of usually reserved for “buddies” and campaign contributors). My guy just wanted to get back to life as normal. I understand his plight and decisions. During the trial, before the jury was sent to deliberate the case, I made a legal motion to have the case dismissed for purely legal reasons. Juries consider all facts in conjunction with the law. Judges consider matter purely legal in nature. My motion was three parts, the last being reference to the lack of Constitutional authorization for the charged offense. The motion was denied completely. The denial would have survived appellate review. The courts have consented to Congress’s massive expansion of the criminal laws and the President’s prosecution thereof. So much for separation of powers. I have made the same argument before. To my knowledge I am the only attorney in the area (maybe the nation) who still dares to do so. I care not for erroneous appellate decisions. Recall, if you will, that once the Supreme Court said slavery was a-ok. It never was. Likewise, honesty and justice compel me to recite the legal truth about law, Natural and statutory, over and over regardless of the ultimate outcome. When I make such arguments the Courtroom usually goes dead silent and I have gotten used to icy stares. I have also learned not to push my luck and that these arguments do not work. Making a simple point is enough, I never argue to the point of being held in contempt. I have heard others have done that. I am too much of a coward to risk jail over moot points. Some have told me these concerns are better taken up with Congress. All things being equal, that is correct. Congress is supposed to be there to hear grievances. Have you tried communicating with Congress lately? It was largely a pointless endeavor in days past; almost no members of the assembly cared for truth. With the departure of Dr. Paul, there is no point now. We have lost the greatest champion of Liberty since the passing of the Founders. We have lost truth and justice. At least we have 10,000 criminal laws to comfort us. Enjoy! “18 U.S.C. § 1385” is a legal citation to the United States Code, referring to Section 1385 of Title 18. Title 18 is the federal criminal code thus, Posse Comitatus creates a criminal offense. Like 99.99% of federal criminal laws it only sets forth a felony offense and punishment. Unlike most federal crimes though, the Act carries a lower than usual maximum sentence and it HAS NEVER BEEN PROSECUTED! In law school I wrote a lengthy research paper on the Act – Posse Comitatus – written for my advanced Constitutional Decision-Making seminar taught by the very Honorable Professor John B. Anderson. Anderson represented the people of Illinois’s 16th Congressional District for twenty years. You may recall his 1980 independent run for President against Jimmy Carter and Ronald Reagan. You may also recall his book The American Economy We Need from 1984. I consider Professor (as I always call him) Anderson a good friend. Once he and his wife, Keke, graciously received my wife and I at their beautiful home on a visit to Washington. However, back when I initially presented my paper proposal to him he seemed a bit skeptical. I suspect that, at the time, even he had not heard of the Act. As the semester progressed though our Nation’s Capital came under the terror of the Beltway snipers. Anderson called me one day and said he had just heard a news report on the radio about the snipers, the hunt therefore, and … the Posse Comitatus Act. He was hooked and I received an “A” for my efforts. Over the ensuing decade I have ripped the paper apart, added to it, and conducted additional research on the Act and many related matters. In the not to distant future (later in 2013 perhaps) I look forward to publishing a book based in part on my original thesis. 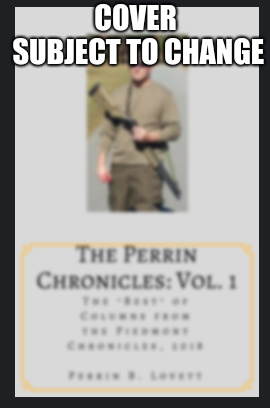 The book is tentatively called A Well Regulated Militia (Amazon/CreateSpace/Kindle) and will relate to all things Second Amendment, Militia, and tyranny prevention (and reversal). This would include, for reasons cited herein, below, the Pose Comitatus Act. 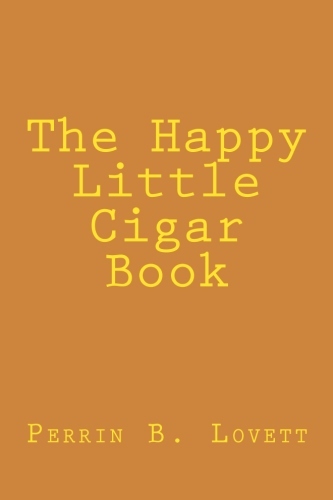 This work will be far more substantial than The Time Given (soon, I promise), though that treatise is no less important to the scope of human happiness than anything else I write. (Our Posse. Source: Google images). The history of the Act is a great part of the history of the 19th century in America. As you may recall in the middle of that century we had a rather unpleasant incident which resulted in the deaths of about 600,000 men. I refuse to call it The Civil War because it wasn’t. A “civil war” is where two or more factions fight for control of a central government. In our case, the Southerners wanted to be free of Washington, not in control of it. It also wasn’t a declared war (I’ve had debates with other attorneys about what that meant). My northern friends often ask me my opinions about the war. I can sum the up easily: it was as deadly as it was unnecessary. I am in the minority of honest legal historians who believe that the southern states had every authority to seceed from the union. I think any state today has that same authority. Nothing in the Constitution compels eternal membership and several states expressly reserved the ability to withdraw at any time. They asserted a Natural Law position which, being universal, would seem to apply to even those states which joined without such reservation. Back in the Nineteenth Century, America was plagued with major problems – debt, financial scams, economic warfare, lying politicians, and, of course, slavery. Come to think of it, the more things change, the more they stay the same. You may recall from history that once the “war” was over and the Union reunited, a probationary period was imposed on the southern states. This period was known as Reconstruction. It was rank with abuse. In numerous cases the legislatures of southern states and other institutions were invaded or harassed by regular army troops. The Posse Comitatus Act was passed partly in response to these alarming events. The concept of the militia predates and was well established at the time of our nation’s founding. Congress still acknowledges the militia separately from the Guard; the Guard and the militia are differentiated under Titles 10 and 32 of the U.S. Code. Every State maintains a militia (at least in the law books) separate from the Guard. In Georgia, the State militia is officially the Georgia State Defense Force. See: O.C.G.A. § 38-2-23, et seq. The Guard was instituted in the early twentieth century and is essentially a back-up force for the regular national army – it is sometimes on loan to the several States. Enough on that for now. The Pose Comitatus Act reads, in its entirety: “Whoever, except in cases and circumstances expressly authorized by the Constitution or Act of Congress, willfully uses any part of the Army or the Air Force as a posse comitatus or otherwise to execute the laws shall be fined under this title or imprisoned not more than two years, or both.” 18 U.S.C. § 1385. The Act (let’s call it the “PCA” from here out) originally started out as an amendment to the Army Appropriations Bill (H.R. 4867) for the fiscal year ending in 1879. This would be during the forty-fifth congress, second session, in 1878. The initial mention of the concept of the PCA as an amendment came from Rep. William Kimmel of Maryland on May 20, 1878. Kimmel was cut off in mid speech by time constraints; however, he successfully laid the framework for the PCA amendment. See: 7 Cong. Rec. 3586. H.R. 4867, PCA and all, eventually became law on June 18, 1878, hence the pending birthday celebration. See: 7 Cong. Rec. 4686. Some scholars have speculated the PCA was enacted only to end the use of he army in supervising southern elections and legislative sessions. Earlier I said the PCA was partly enacted for the reasons said scholars state. I, however, dug deep into Congressional history (boy, what fun) and found a more complicated picture. The roots behind the theory of Posse Comitatus go much deeper and further back in history than the American Republic. The concept was present at the end of the Roman Republic, more than twenty centuries ago. Gauis Curio attempted to disarm Caesar’s returning army in order to preserve domestic tranquility. See: Caesar, The Gallic War, Loeb Classical Library, 587 (Harvard U. Press, 2000). As you know, Caesar “crossed the Rubicon” and the Empire shortly thereafter commenced. In early America the fear of armed military forces present in everyday life was of grave concern to our Founding Fathers. Beginning the Declaration of Independence with a nod to Natural Law, Thomas Jefferson listed the first grievance against King George that “He has kept among us, in times of peace, standing armies without the consent of our legislature. … He has affected to render the military independent of and superior to the civil power.” Dec. Independence, para. 13 – 14 (1776). Jefferson listed various other similar complaints against the King. Jefferson was not alone in his fear of standing armies, provisions against which found their way into both the Articles of Confederation and the Constitution (remember the Constitution?). In The Federalist Papers, Alexander Hamilton, himself not the greatest proponent of freedom, railed against the standing army as “unsupported by any precise or intelligible designations of reasons.” The Federalist, No. 27 (Hamilton). The Forty-Fifth Congress considered several issues in developing the PCA: a standing army versus a militia; limited central government; and, the proper (if any) uses for an army within the confines of the territory of the Republic. A sub-issue of concern at the end of the 19th Century was the potential rise of communism, which Congress greatly and rightly feared. Karl Marx was still alive at the time of the PCA debate, his works on “economics” relatively fresh off the presses. Rep. Abram S. Hewitt of New York commented on the subject: “If you want to fan communism, increase your standing army and you will have enough of it.” 7 Cong. Rec. H. 3538 (1878). Rep. Kimmel stated the then current use of the army in domestic affairs was a direct “violation of the Constitution.” He cited numerous examples of federal troops aiding tax agents, governors, sheriffs, and district attorneys in Georgia, Kentucky, Michigan, and New York. 7 Cong. Rec. 3580 – 3582. Again, it is popularly said that the PCA was the result of Southern states fed up with the misuse of federal soldiers during elections. Most of Kimmel’s examples were responses to tax collections and labor disputes. In 1878, as today, New York and Michigan are generally regarded as northern states. Other Representatives related similar troubles all across the country. The problem was national in scope. In the Senate the debate continued. Senator Benjamin Hill of Georgia remarked, “A posse comitatus is a wholly different thing from an army; it is different in every respect from an army…” 7 Cong. Rec. 4246. He continued, “it never was lawful, it never shall be lawful, to employ the army as a posse comitatus until you destroy the distinction between civil power and the military power in this country.” Id. As the PCA is a criminal law and given the federal Empire’s love of prosecuting any and everything, one would expect numerous cases under the PCA over the past century or so. One would be mistaken. There has never been one single case brought against anyone under the PCA. This may be due to the fact that the most likely suspects are government officials. They don’t like to go after their own. Honor among thieves you know. The closest semblance of judicial review of the PCA has been in the form of indirect rulings in cases involving other crimes. Defendants have asserted, as a defense, an alleged violation of the PCA by government officials executing some duty (such as drug enforcement). This defense universally fails. I will not bore my audience with any particular cases, though they date from at least 1975 and continue into this Century. Oddly, I, the great authority on this matter, was once threatened with the potential of facing a PCA violation! 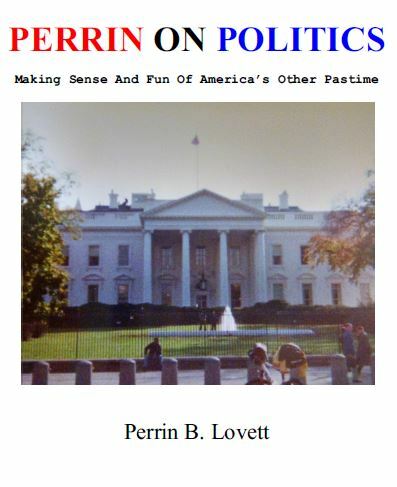 Yes, yours truly, Perrin Lovett. It all stemmed from one of those lovely anti-family law cases of which I have previously expounded: https://perrinlovett.wordpress.com/2013/02/09/anti-family-law/. I believe it was a custody dispute. Anyway, the defendant was a member of the U.S. Army stationed at Camp Zama in Japan. Thus, I was tasked with the trouble of perfecting International legal service of process which is not necessarily the easiest thing to do. I decided to circumvent technicalities by having the defendant simply acknowledge he had received my petition. Not having an exact address for him, I contacted several offices at the Camp in an attempt to solicit their help in the matter. The Provost Marshall’s office quickly told me they could not assist with serving a civil lawsuit without running afoul of the PCA. They actually said that; you know, from the history given here, this type of situation was not within the original intention of Congress. I pointed out that I was not asking for such, just for friendly information. As luck would have it, I located the defendant on my own and the case went forward. As usual, no-one was happy. Correction: I am happy to have avoided being the only PCA prosecution in history. Back to reality. There have been cases innumerable of the military becoming involved in civil law enforcement – from the “war” on drugs to the massacre at Waco, to the Wounded Knee massacre, to the hunt for the D.C. snipers, etcetera, ad nauseum. Why then, have there been no criminal cases arising from the incidents? The answer lies in the actions of both the Executive branch and, especially, with Congress. Exception after exception to the PCA have been enacted over the long years. Congress has all but rendered the PCA a dead letter to the point the Act is useless for its intended purpose. It is somewhat interesting that, having taken the teeth away, Congress has not fully repealed the PCA. This may be because federal laws never die, they linger forever, used or not. Amazingly, as recently as 2005, the 107th Congress reaffirmed the spirit of the PCA, literally, but not meaningfully. “The Congress reaffirms the continued importance of …[the PCA] … and it is the sense of Congress that nothing in this Act [H.R. 5005 – creating the Department of Homeland Security] should be construed to alter the applicability of such section to any use of the Armed Forces as a posse comitatus to execute the laws.” H.R. 5005 § 780(a) – (b). The Homeland Security debacle … Act … followed the Patriot Act and decades of “war” on drugs, crime, and your freedom. Various National Defense Authorization Acts have followed. The result has been the complete decimation of the PCA. President Bush (No. 43) and his successor, Barack Obama, have made clear their intention to use the military whenever necessary, wherever needed, to keep us safe, of course. Obama even claims he can use military weapons to kill without Due Process. The protests against his claim are less than deafening. I protest! I have some suggestions for changes and improvements to restore the vitality of the PCA. This is one of the few instances where you will ever hear me call for a new or continued statute. In the name of freedom, Congress should amend the PCA first to kill all of the previous exemptions. Second, they should specify that the law only applies to those members of the federal, state, or local governments who would dare to use federal military force to accomplish civil law enforcement of any kind; they could define a violation as an act of government employee-specific treason. The punishment could be expanded accordingly. Perhaps the original punishment might be appropriate in minor cases. Others, such as those which involve the mass killing of American citizens could be made capital felonies. Congress has the Constitutional authority to also limit the review of any conviction from any court – including the Supreme Court; thus, when a high official (an attorney general for example) orders Army tanks to drive into a church and burn the worshippers within alive, that official could be convicted under the PCA and immediately hanged in public. This might serve as a warning to future would-be tyrants. Again, this is only a suggestion. I do not relish the idea of killing even to avenge killing. I reconsider, reluctantly, when the dread act(s) have the potential of continuing against all of the free people. This leads me back to my article on drones picking off the voting, tax-suffering public, https://perrinlovett.wordpress.com/2013/02/15/droning-on-and-on/. A President, already forbidden to use military drones against domestic targets (his already unConstitutional Orders overridden by my proposed law) might think twice about defying the law if he knew the gallows awaited his defiance. The issues raised herein may likely lead to other related articles. All of which concern you and those you hold dear. It is your freedom, security, and happiness that drives me to raise the alarm – the same alarm raised by the Founders and the forgotten members of the forty-fifth Congress. Bless their wisdom and fore-sighted concern.